Shady spots are sometimes considered problem areas where beautiful plants cannot grow. In reality, though, there are some wonderful plants for shade, some grown mostly for their lovely leaves, but others that have surprisingly dramatic blooms. These 12 suggested perennial plants will help transform your shaded spot from a problem area to a location you are proud of. All of these perennials can handle cold temperatures. In addition to these perennials, also consider annuals and some great biennials, such as foxglove (digitalis) for the shade garden. Sometimes you get lucky and have pretty flowers and nice foliage on the same plant. Such is the case for Lenten rose (Helleborus orientalis). The blooms on lenten rose begin with a lovely bud that resembles a rosebud, which later opens into a flower that will remain through the summer heat. After the spring color fades, lenten rose continues to add visual appeal through intense, leathery dark-green leaves that retain their beauty throughout the summer. If you are seeking attractive leaves to go along with the interesting blooms, fringed bleeding hearts are a great choice. But D. spectabilis "Gold Heart" may turn the most heads with its leaves, which have a bright golden color. Jack-in-the-pulpit (Arisaema triphyllum) is sure to inspire you if you like plants that are a bit out of the ordinary. 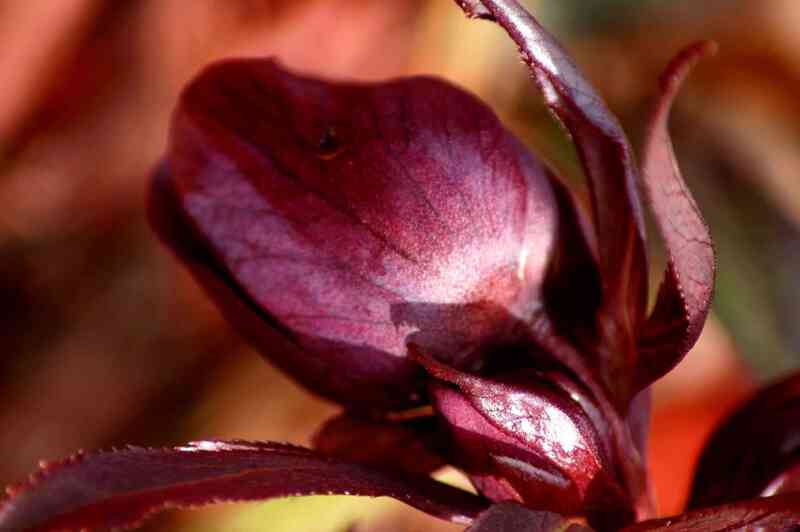 It is a woodland plant in many areas of North America, so it is a no-brainer for woodland gardens. This perennial for shade certainly is not grown for its flowers. But Jack-in-the-pulpit rewards those willing to forgive its lack of showy flowers with a brightly-colored bunch of red berries. Bunchberry (Cornus canadensis) is another native plant of North America. It is in the same genus as the dogwood trees, but do not let that fool you. This is a tiny plant, essentially a wildflower. As the name implies, it also features bright red berries in fall. Bunchberry is ideal for dappled shade and works well in naturalized areas and along shaded walkways. Although the name deadnettle might bring to mind other types of weedy nettles that cause skin irritation, spotted dead nettle (Lamium maculatum) is actually a very nice landscape plant that offers color both through its foliage and its flowers. The popular cultivar, L. maculatum Purple Dragon, has vibrant purple blooms. Like other plants with silver foliage, this ground cover can help brighten shady areas and make them seem less gloomy. Be aware that deadnettle can spread aggressively, so plant it only in an area where you seek a true groundcover. There are some similar perennials related to Purple Dragon deadnettle. One you may wish to avoid is the yellow archangel. It is a lovely plant but tends to be invasive. Hosta is an obvious choice in picking the best perennials for shade, as long as you can appreciate what foliage plants bring to your landscaping. The list of hosta cultivars that can serve both as specimen plants and groundcovers for shady areas is practically endless. One type of hosta recommended to dress up a shady spot is Halcyon hosta. Although hostas are known as shade plants, there are some exceptions. Cultivars with golden leaves, for example, need some sunlight to achieve their splendid color. Some kinds of Ligularia have spots, thus the common name, Leopard plant. L. dentata "Britt-Marie Crawford" does not have those spots, but it has plenty else to purr about. It sports big, pretty leaves with tooth-like edges, and it has the most interesting flowers. This perennial is versatile. While it is grouped with other shade perennials, it can stand some sunlight if watered enough. But it can also be grown in spots that are too wet for many other plants to handle. Britt-Marie Crawford gives you some wiggle room in landscape design options. 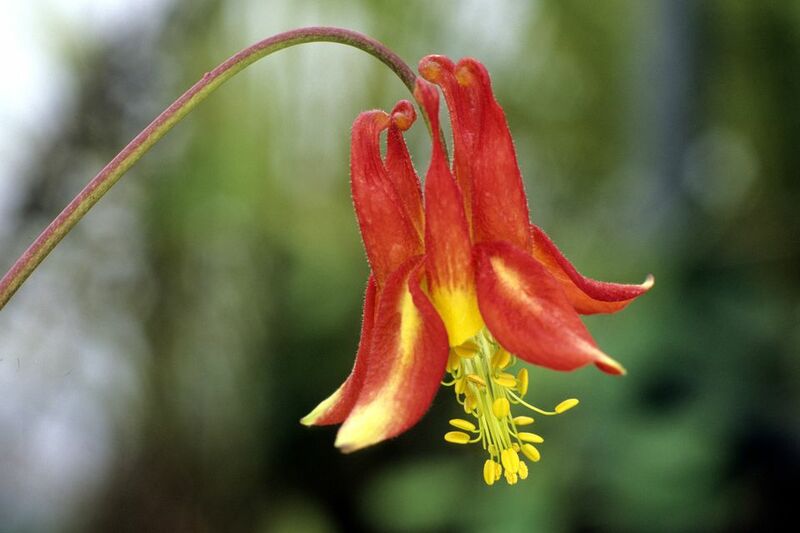 Columbine (Aquiligia) comes in a variety of flower colors. Types with brightly-colored blooms may be the best choice for shaded spots, where they bring cheer to otherwise gloomy areas. Generally speaking, the unique shape of columbine is what makes them so special. This perennial for shade also has nice clover-like foliage (variegated in some cultivars), especially early in the growing season. Leafminer insects do mark up the leaves, but some gardeners find the meandering mining tunnels on the leaves attractive. Do not confuse Aquilegia with columbine meadow rue (Thalictrum aquilegifolium), which is another good perennial for shade. Jacob's ladder (Polemonium caeruleum) is another good example of a plant with a fine texture that can create contrast with other plants. The name "Jacob's ladder" is a reference to the ladder-like arrangement of the foliage leaves. The delicate texture of Jacob's ladder works well when juxtaposed against the coarser texture of hosta or ligularia. Coarse-leafed elephant ear can also serve as a dramatic contrast to the fine texture of Jacob's ladder. The leaves of Virginia bluebells (Mertensia virginica), like those of Dutchman's breeches, disappear by midsummer when this perennial enters a period of dormancy. Most consider this an acceptable price to pay because the flowers of this spring plant make it worthwhile. Its flowers start out pink-lavender but later change to deep blue. Rogers flower (Rodgersia) does bear blooms, but it is valued more for its big, pretty leaves. Some types (such as R. aesculifolia) have leaves like those on a horse chestnut tree (Aesculus). Like leopard plant, this one works well in damp areas that are not completely waterlogged. It can grow fairly well in the sun if the soil is moist and rich in humus. Even more so than Rogers flower, Japanese forest grass or "Hakone grass" (Hakonechloa macra) is grown for its value as a foliage plant. You can choose from various cultivars, depending on the look that you want. For example, the Naomi variety often has more red in its leaf blades than Aureola, which is one of the best kinds for a golden color. Beginners who are new to creating shade gardens need to remember that few plants will produce impressive blooming displays in deep shade. Most of the plants listed here will do best if they receive at least some indirect light. Even shade-loving perennials need a small amount of sunlight. Although no spring bulbs were included in our list, shade gardeners should remember to take advantage of these earliest bloomers. Remember that areas of your yard that may later be shaded by large trees may receive adequate sunlight in the early spring. These spots offer a great opportunity to take advantage of spring bulbs to add color to your landscape. What's That Plant With the Big Leaves?